Memorial Day first started after the Civil War as Decoration Day, a time when citizens remembered the sacrifice of soldiers who died in that epic conflict by decorating their gravesites. It has since become America’s most hallowed holiday, a time for personal reflection and expressions of gratitude for those who gave the ultimate sacrifice, so the citizens of America and its allies may live in freedom. John Leo played cymbals for the Cavaliers in the mid 1970s, and has continued to perform with the Classic Cavaliers, an all-age ensemble created to provide support and publicity for the current drum corps by participating in a variety of performances throughout the year. Leo had recently learned about Don Peterson, a member of the Cavaliers who died fighting in the Vietnam War in 1965 at the age of 24. While warming up for last year’s Memorial Day Parade in downtown Chicago, the Classic Cavaliers visited the Vietnam Veterans Memorial along the Chicago River and performed an impromptu concert at the site. Another Cavaliers alum pointed out Peterson’s name on the memorial, and when Leo got home from the parade, he started researching the circumstances of Peterson’s death. With the knowledge of Don Peterson’s name and the approximate date of his death, father and son went to the kiosk located discretely adjacent to the wall. Volunteers staff the kiosk and provide assistance to visitors who wish to find specific names of veterans killed in action. 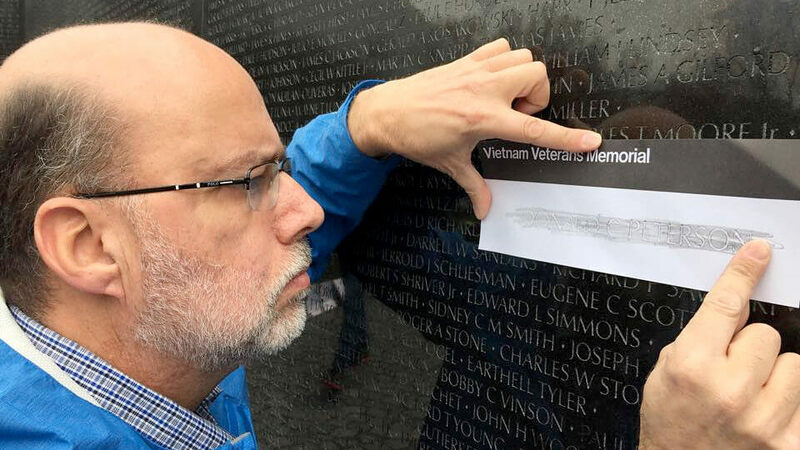 The two Leos were given the location of Peterson’s name, plus some tracing paper and a pencil with which they could create a “rubbing,” an image of the name exactly as it appears on the memorial. 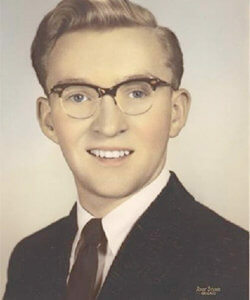 Upon locating Peterson’s name, John Leo was struck by how the wall appeared to be “shedding tears” due to a drizzle earlier that day. He took off his coat and used it to wipe dry Peterson’s name. He remembers, “That's when things felt really sober and the connection to Don became emotional, despite the fact I was five years old when he died.” He made two rubbings and began to contemplate all the Cavaliers brothers he had marched with. “I meant to honor Don and the veterans, and to send a message that their service to our country is never far from our conscious thoughts,” Leo said. On this Memorial Day, may we all likewise do the same. Learn more about Donald C. Peterson.